The framework of the proposed Errorfeedback Recurrent Convolutional Neural Network (eRCNN). The importance of segments in the 2nd and 3rd ring roads of Beijing. The redder the more important in the map. Obviously, the high important road segments are mostly located near the corners of the ring roads, for both of the outer and inner loops. Traffic speed prediction is a long-standing and critically important topic in the area of Intelligent Transportation Systems (ITS). Recent years have witnessed the encouraging potentials of deep neural networks for real-life applications of various domains. Traffic speed prediction, however, is still in its initial stage without making full use of spatio-temporal traffic information. In light of this, in this paper, we propose a deep learning method with an Error-feedback Recurrent Convolutional Neural Network structure (eRCNN) for continuous traffic speed prediction. By integrating the spatio-temporal traffic speeds of contiguous road segments as an input matrix, eRCNN explicitly leverages the implicit correlations among nearby segments to improve the predictive accuracy. 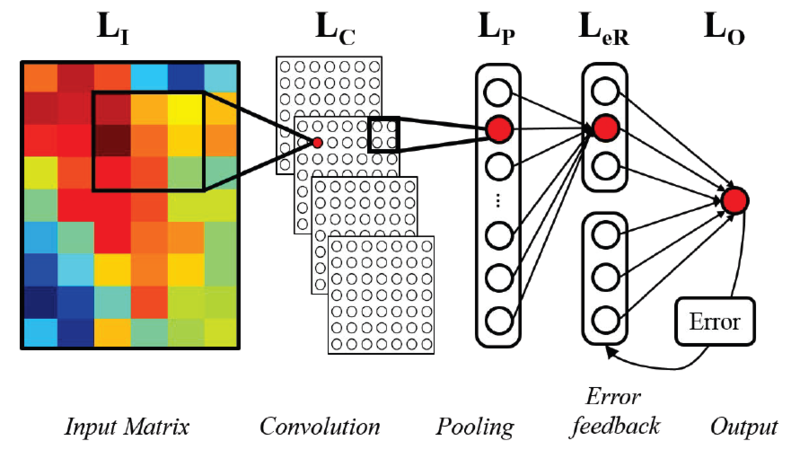 By further introducing separate error feedback neurons to the recurrent layer, eRCNN learns from prediction errors so as to meet predictive challenges rising from abrupt traffic events such as morning peaks and traffic accidents. Extensive experiments on real-life speed data of taxis running on the 2nd and 3rd ring roads of Beijing city demonstrate the strong predictive power of eRCNN in comparison to some state-of-the-art competitors. The necessity of weight pre-training using a transfer learning notion has also been testified. More interestingly, we design a novel influence function based on the deep learning model, and showcase how to leverage it to recognize the congestion sources of the ring roads in Beijing. J. Wang, Q. Gu, J. Wu, G. Liu, and Z. Xiong, “Traffic speed prediction and congestion source exploration: A deep learning method,” in ICDM’16. The slides of the paper "Traffic Speed Prediction and Congestion Source Exploration: A Deep Learning Method"
If you find our work is helpful for your research, please kindly consider citing our paper.